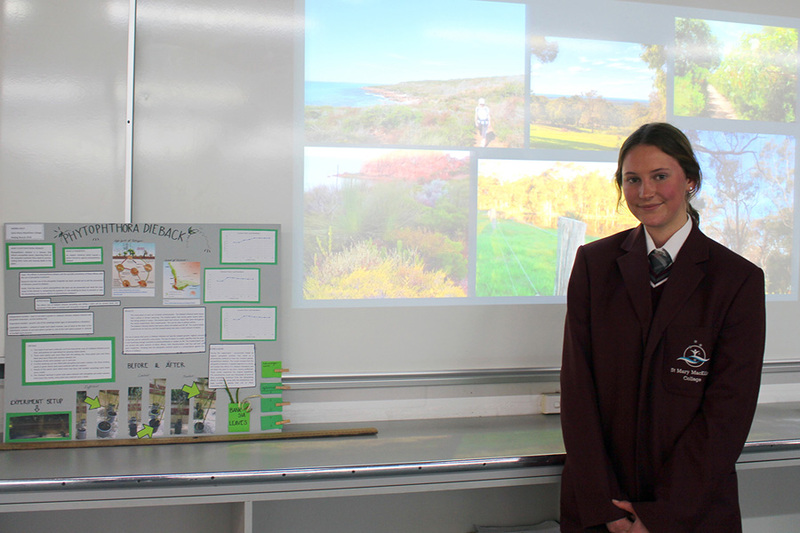 Year 10 student Shona Kiely is taking her scientific research project on dieback treatment to Beijing next year to compete in an international science fair, thanks to Scitech and Rio Tinto. 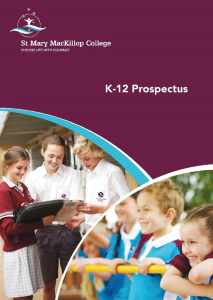 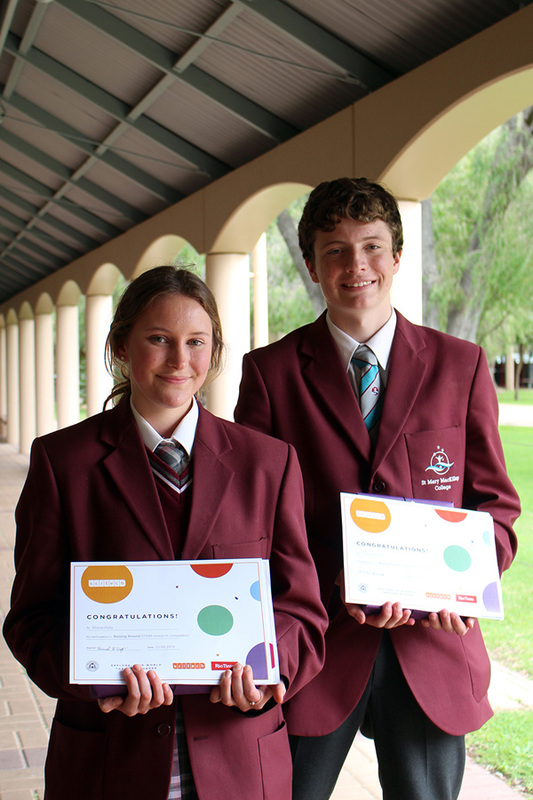 Shona and fellow Year 10 student Flynn Hembroff showcased their individual projects recently in front of a judging panel from Scitech, Rio Tinto and the SW Science Council, after working with a mentor since April to plan, conduct and present their original research. 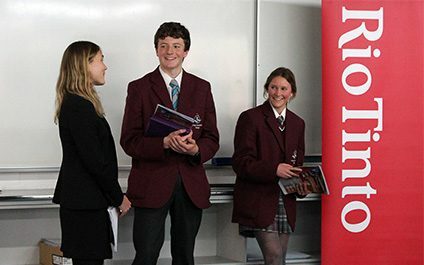 This is the first time the Beijing Bound competition has been open to Busselton students, with the aim being to increase students’ knowledge, capabilities and confidence in STEM, giving them a greater awareness of STEM careers and Australian research in their communities. 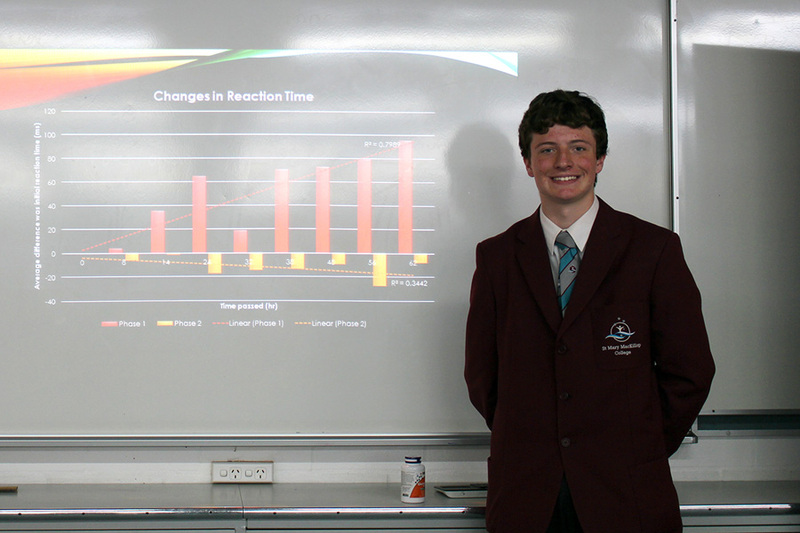 Shona’s project analysed the phospite treatment commonly used to control Phytophthora dieback disease. 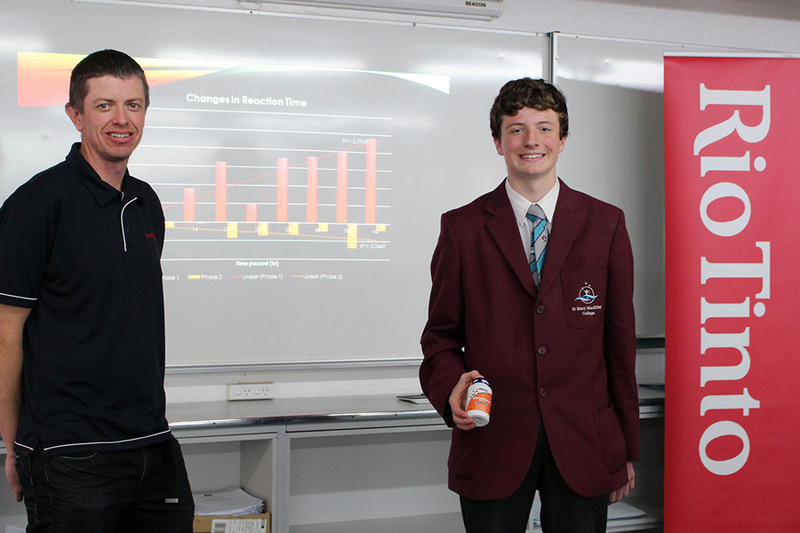 Flynn’s project, with his mentor Chris Gray, investigated the effects of an antioxidant supplement called Glutathione on reaction time and its subsequent benefits for tired drivers. 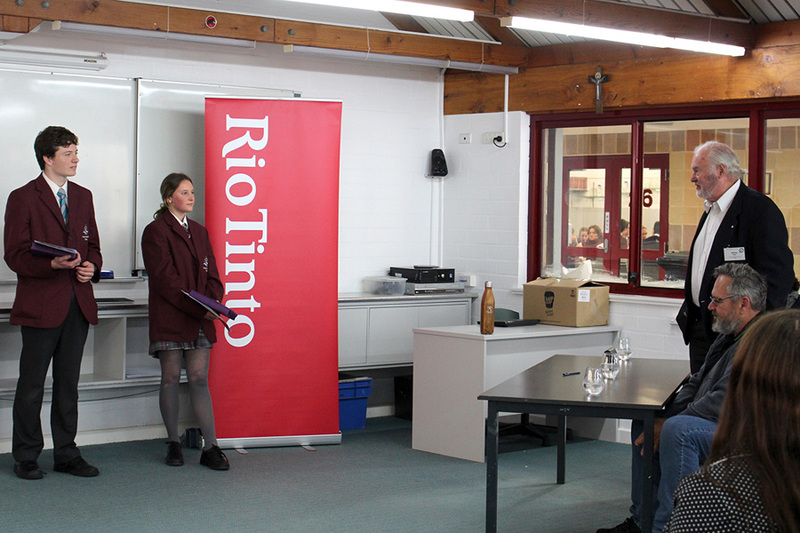 Students worked with a relevant science graduate at Rio Tinto as mentor to develop a research plan, write a literature review, carry out scientific research, write a scientific report, create a scientific poster and then present their research to a variety of audiences. 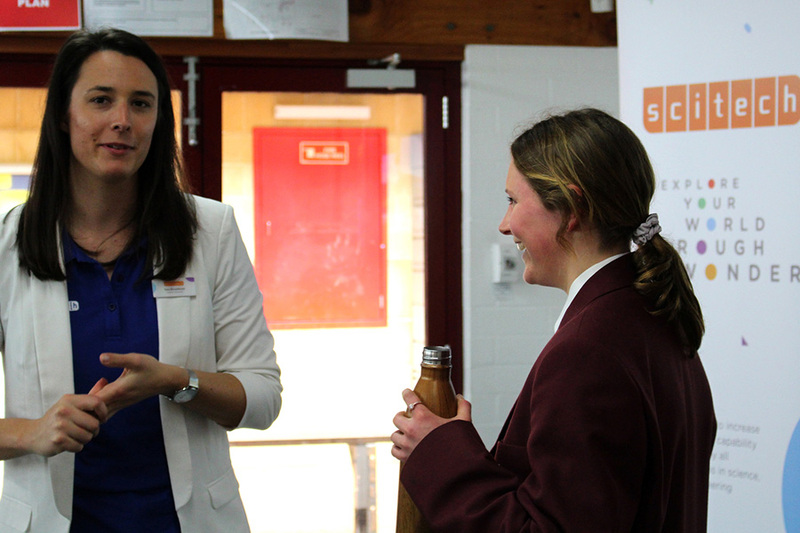 These mentors also helped introduce the students to career and study options available in STEM fields relevant to their interests. 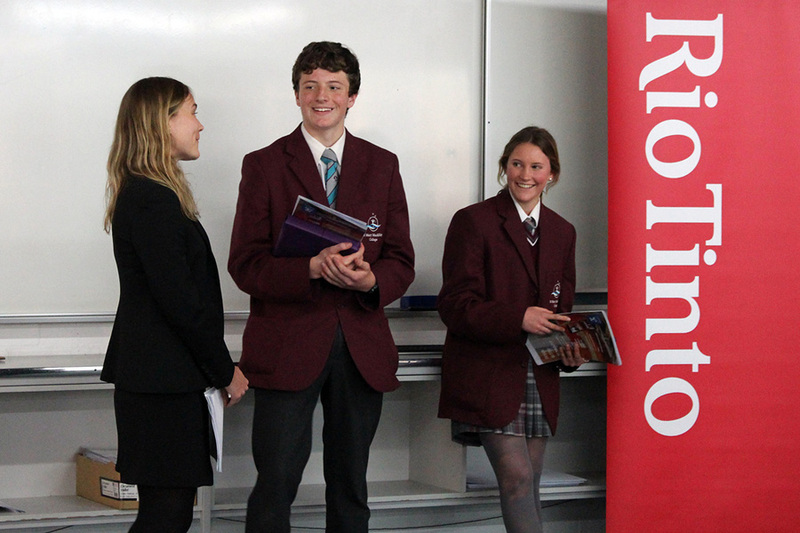 The competition gives students a chance to combine their passion for science with real knowledge of their surroundings, making a real contribution to the WA and global scientific communities. 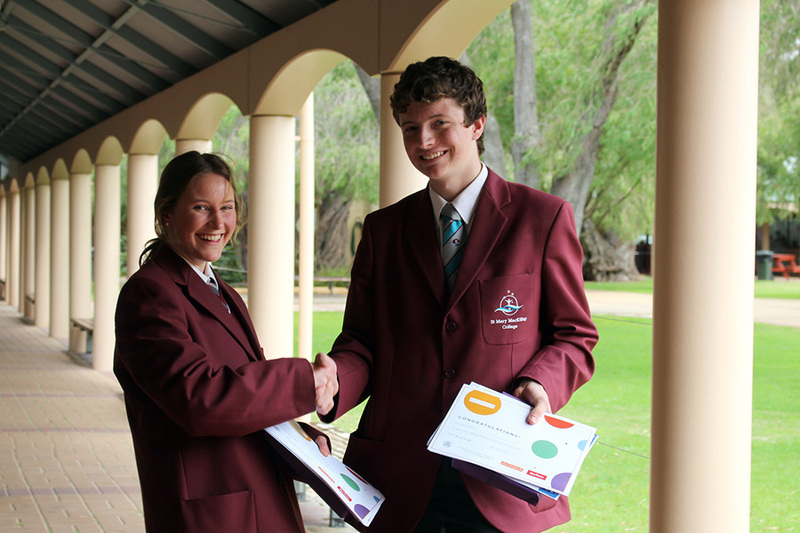 Shona will travel with her mentor, Theresa Nguyen, and winner of the Pilbara competition, to the Beijing Youth Science Creation Competition in March 2019, where they will present their research to local and international students, before visiting some of the country’s most iconic destinations including the Great Wall, Summer Palace and the Forbidden City.